Protect your clothing in personalized style! Can be decorated with paint, fabric markers and more! Protect your clothing with our canvas apron. 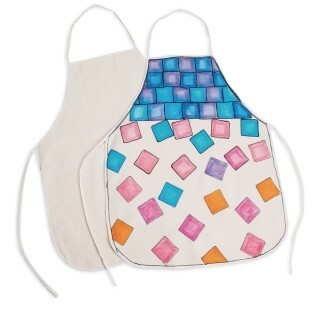 Can be decorated with paint, fabric markers and more (sold separately). Adult size measures: 28” x 22”. Pack of 6 aprons. Washing recommendations: wash cold, tumble dry low. 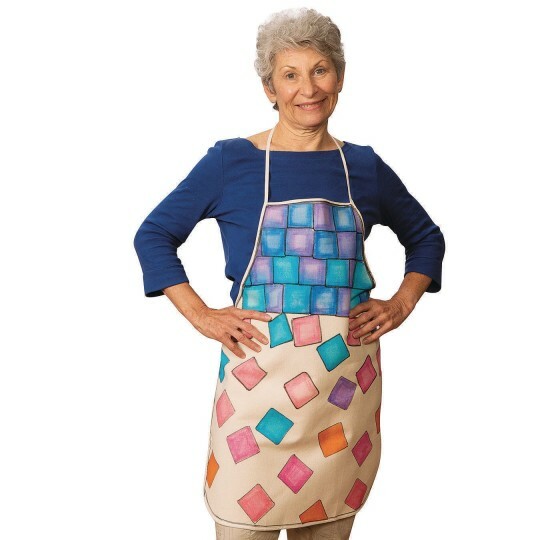 When put in the washer before decorating most of the aprons started tearing away from the seam. We went ahead and tye dyed them like planned however I am now going to have to sew where they came apart before we can use them. Merchant response: Thank you for your product review. Based on this feedback, we have improved the stitching of this item and recommend washing with a low spin cycle.